In many cases the monitoring of a suspicious room has to be effected over a long time period, but the room only can be entered once and the monitoring device has to be installed quickly and easily. Furthermore this monitoring device can only be operated by batteries and should be activated only when persons are in the room. 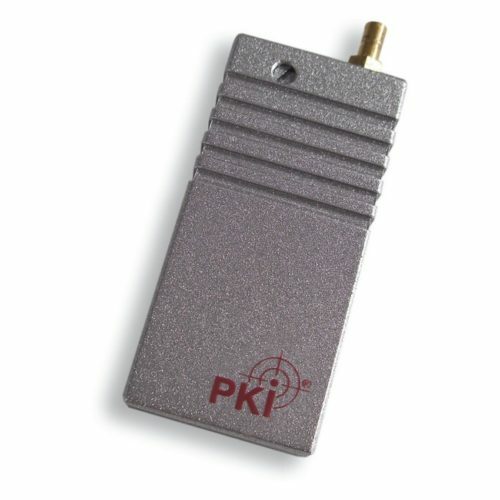 Therefore and in order to save battery capacity, the PKI 2290 has been developed according to the latest technology standards as it is automatically activated by reception of noises/sounds. Whenever there is no sound, the built in automatic voice control (Acoustomatic) will switch the transmitter into a stand-by position. This will save the battery capacity and also will make the transmitter being undetectable when not in use.